Butcher’s Daughter – This was our little afternoon snack break heaven. 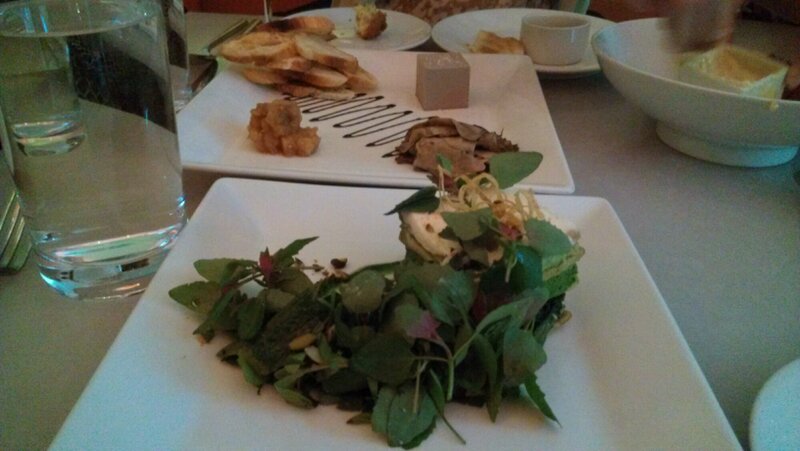 Organic, raw, fresh…this place offered all the healthy and delicious food adjectives. 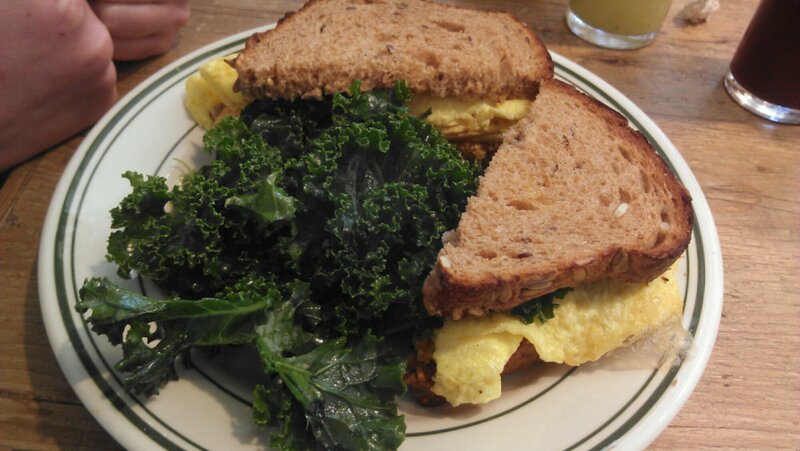 We got incredible fancy juice blends and an egg sandwich with their signature vegan cashew cheese. I immediately started wondering if I could recreate it. Brooklyn Bagels – Touted as best bagels (given the quality of bagels in the city I’m sure its a close call to call these best, but we felt it was deserved). 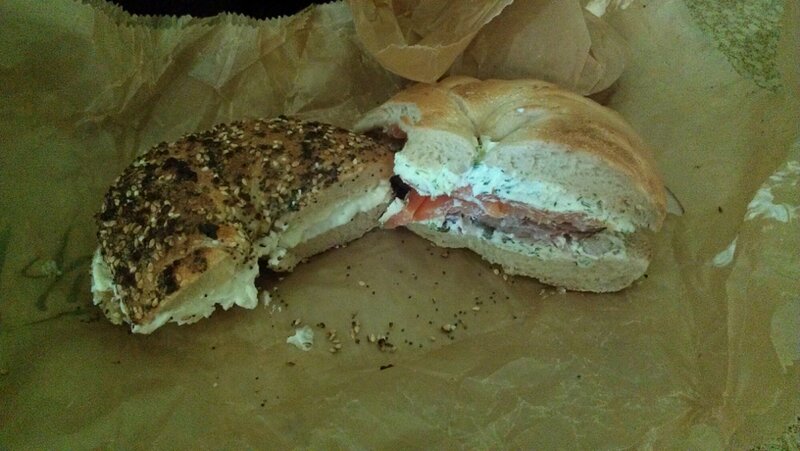 We got a lox bagel sandwich with dill cream cheese and an everything bagel with cream cheese to split. The bagels were huge, fluffy, crispy, and all that we were hoping for. Dirt Candy – A vegetarian restaurant! One that treats vegetables with TLC! We had to try. Super tiny and popular, we dined like pros and snuck into the restaurant before the reservations trickled in (tip: show up at 5:30 or a little earlier). We loved each dish, especially the mushroom one which had mushroom pate and roasted portobellos, and the jalapeno hush puppies with maple butter. So glad I’m not vegan just for that butter. Man. Delicious. Not to mention it felt like I was being pampered the whole time. Artists & Fleas – we stumbled across this walking in Williamsburg, but loved the vintage clothes and beautiful jewelry. The people watching was great, too (NYC really is full of beautiful people). The High Line – more heaven. I thought I knew what to expect but I was pleasantly surprised by the amount of sunshine, benches, and happy people. Super relaxing up there, and a good way to go from Chelsea to midtown with a view (tip: stop off at Chelsea Market for a snack). Brooklyn Bridge – this is an iconic tourist attraction, so it was crowded, but totally worth it for the views and as a way to experience the great neighborhoods on either side. 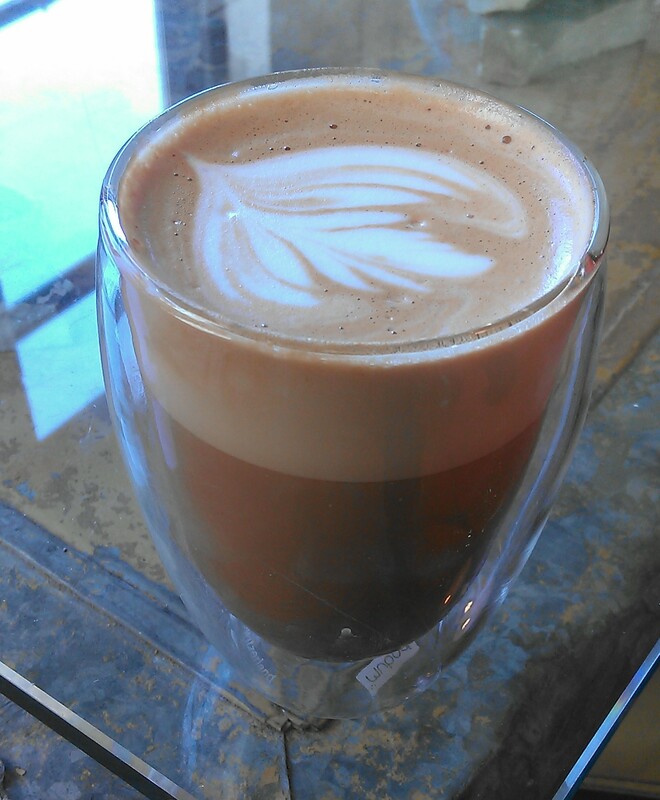 Stop by Brooklyn Roasting Company for a coffee (this coffee neophyte ordered a decaf mocha which I thoroughly enjoyed and was also approved by N, coffee expert) before your walk over from Brooklyn. We did so much more, but I could write for days! Message me for more trip deets if you’re interested. I’ll give you the inside scoop :). Oh, and if anyone out there has advice for how to approach a stranger who is out walking his cat in Williamsburg and you want to pet it, let us know. We were a little baffled by that one. I’m excited to kick off another year of blogging and I hope you’ll come along for the ride. I don’t know about you, but I feel more excited about this new year than I’ve felt about anything in a long time… so no pressure, 2013, but you’re going to be great. How spectacular does that look? BFF and I are going to Cali, baby. The trip is in the very early planning stages but I started looking on the Visit California website this morning and got a little ahead of myself. California residents and California lovers, any hidden gems we should make sure we check out? We already know that our rental car must be a convertible, but other than that we are open to suggestions :). I hope you’re just as excited about 2013 as I am!